I am happy to be here this evening to present a volume that is the fruit of the whole workshop of the journal La Civiltà Cattolica, one of the oldest journals in the world. I recall that our journal has already published 13 articles on China in the last 21 months. 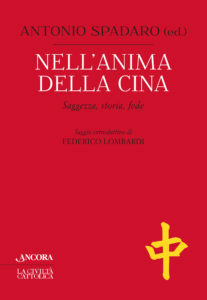 This volume wants to enter with discretion, humility and admiration “into the soul of China”, that is into the heart of a very ancient culture and civilization. This evening we will listen to three important and extremely representative voice for their respective roles: in the Italian, European and Vatican context. We are grateful for their presence that honors us a lot: President Paolo Gentiloni, President Romano Prodi and Fr Federico Lombardi. The task of speaking to us of their experience and understanding of China was entrusted to them. Ours is not a political encounter. It is not meant to be that. It is intended to be instead an encounter of witnessing. Here the Church, Europe and Italy witness to the role of China in the past, in the present and, from what we are seeing, in the future. First of all I think that everyone here can share as their own the words that Pope Francis said in an interview with Francesco Sisci for Asia Times: “For me — the Pope said — China was always a point of great reference. A great country. But more than a country, a great culture, with an inexhaustible wisdom”. Western culture has learned so much about this great culture and the Chinese wisdom that came to Europe thanks to the study and passion of the Jesuits and of the sons of our Italy. I will name one from among all of them: the Sicilian Prospero Intorcetta, a great scholar and translator of Confucius. Philosophers such as Leibniz treasured his lessons. Also the letters of the Jesuit missionaries in China—real reportage—during the Enlightenment were opportunities for knowledge of Chinese culture on the part of intellectuals such as Voltaire, Montesquieu and Rousseau. Thanks to men of the Church, that is the Jesuits, the Chinese culture has, in a profound manner, an impact in the great European culture on thought and also on taste. We could say that the Jesuits were pioneers in the «sinicization» of the West. And also Pope Francis addressing our journal La Civiltà Cattolica —last February on the occasion of the publication of our 40000th issue—gave us as a model of reference a man who loved China unreservedly: Matteo Ricci or Lì Măòu, as he was known in China (1522 – 1610). President Xi Jinping in a speech to Unesco in 2014 used the image of many colors to describe that “magnificent atlas of the journey of human civilizations” on earth. He then used the image of the m and the color palette to express himself a map of worls against the so-called “clash of civilizations” and in favor of harmony. I recall that Pope Francis also used the image of the palette of colors and proposed the “civilization of encounter” as an alternative to the “incivility of struggle”. Precisely in the interview to Asia Times Francis affirmed: “the Western world, the Eastern world and China all have the ability to maintain the balance of peace and the strength to do so”. But the balance about which Francis thinks is certainly not the fruit of compromise and division (the model of Yalta, for example), but that of dialogue, that of the encounter of civilizations. 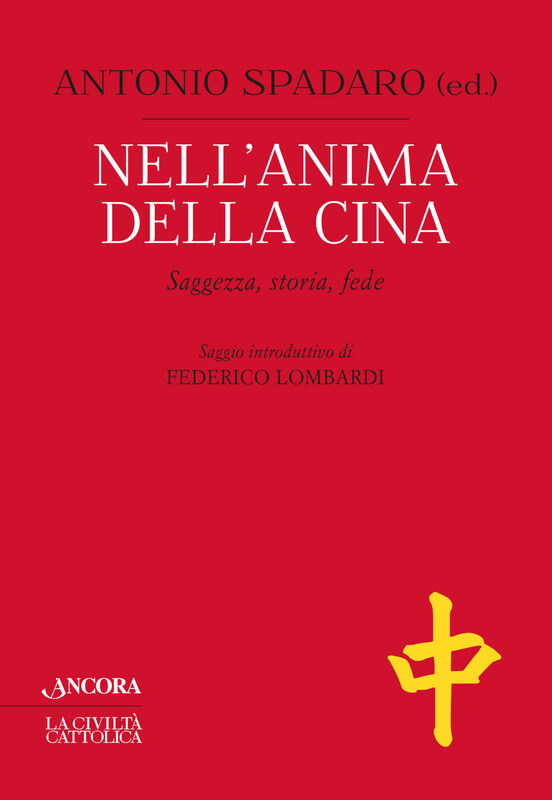 We wanted to publish Nell’anima della Cina also to contribute to reflection on the life of the Catholic Church in China, which is presented thanks to the interviews and testimony of Chinese voices. From these voices, one understands how even today development and economic process haven’t eliminated spiritual needs. Anything but. In this ambit, theological reflection makes sense. In the context of Confucianism and traditional Taoism, Christian theology seeks to closely link Christianity and the great Chinese traditions of thought and sensitivity. Christianity should be considered in Chinese terms and in the light of the great Chinese philosophy and wisdom. Perhaps the characteristic philosophy and mysticism of ancient Taoism composed between the third and fourth centuries B.C. should be studied in greater depth. In the Tao Te Ching, one could find some perspectives very adapted to Chinese thought for understanding the Gospel thoroughly and, vice versa, to deepen the Christian message in a new way. And the thought was immediately of the wonderful theological texts that arose from the first encounter between Christianity and Chinese culture in the 7th and 9th century, true Christian theology of deeply Chinese traits. The Church in China is therefore called to commit herself urgently in her mission of proclaiming the Gospel, to contribute in a more effective way for the good of the Chinese people, with her religious message and with her charitable and social commitment. And she is called for this reason to be fully Chinese and of Chinese traits, going deep into the process of inculturation. The history of the relationship between the Church and China was very rich but also very tense and complex. We need then to take time to make a relationship of trust grow. Trust, more than a “goal” is a way (道;)… But it is also that of the right mean (中庸) that, like in riding a bicycle, makes you stay upright and it allows you, finding the right speed, to go forward and not stop. The meaning of the cover of the volume, basically, is just this: it carries the Chinese character zhong, that means ”center”. It is what is used, among others, to compose the word Zhong yong, that expresses the Confucian concept of “right means”, but also the word Zhong guo, that is “the state of the center”, which is the name “China”. It was exactly Matteo Ricci to use this expression on his map. In geopolitical terms, the center of the world today is inhabited precisely by whoever seeks this “right means” patiently, taking care of our common home and of its innermost harmony, so loved by the Chinese spirit.